The seven remaining teams will participate in spite of the event’s non-Major status. It’s been a rough week for Galaxy Battles II: Emerging Worlds, the $500,000 Dota 2 tournament scheduled to take place in the Philippines on Jan. 15. Between having its Pro Circuit Major status revoked and nearly half the teams announcing their withdrawal from the event, there has been considerable doubt from the community whether or not the tournament would still push through. Despite this, organizer Fallout Gaming will soldier on in spite of the massive setbacks. Images showcasing the remaining teams were posted on the Galaxy Battles official Facebook page earlier today, indicating that the show will indeed go on as planned. European squad and four-time Valve Major winners OG announced through their own social media that they will still be attending. The team will however be playing with Maurice “KheZu” Gutmann and coach Sebastian “7ckngMad” Debs as stand-ins for Gustav “s4” Magnusson and Johan “n0tail” Sundstein. The other teams have not re-confirmed their attendance, but Galaxy Battles’ own promotional material is proof that they still plan on flying to the Philippines in order to play. LGD.Forever Young, who had previously been announced for the event, were not included in these images. With no word from their Weibo and Twitter accounts so far it is possible that they’ve simply pulled out without letting the public know. 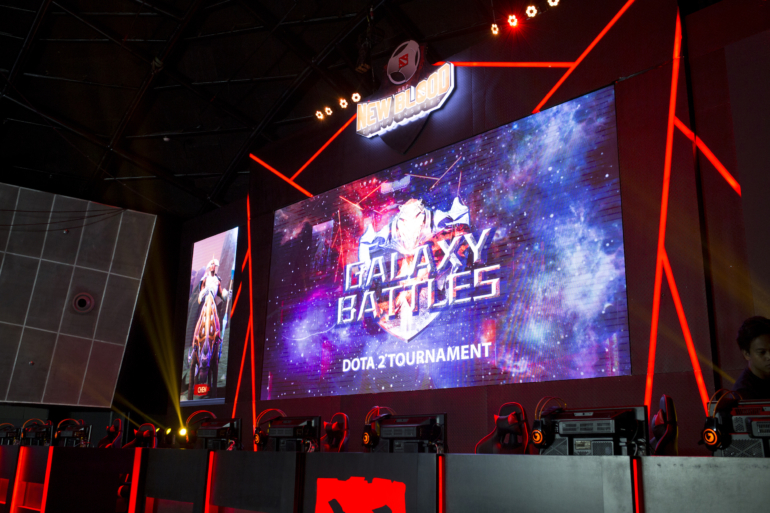 With half the field gone and the prize pool significantly diminished, however, Filipino fans have been demanding refunds from the organizer. A representative of Fallout Gaming has been quoted saying that they will “definitely” be offering ticket refunds, according to a report by Unikrn. The organizer is still in the process of getting teams to replace those that have withdrawn, according to the same report. With less than seven days to go, though, there may not be enough time to secure new teams for the event.